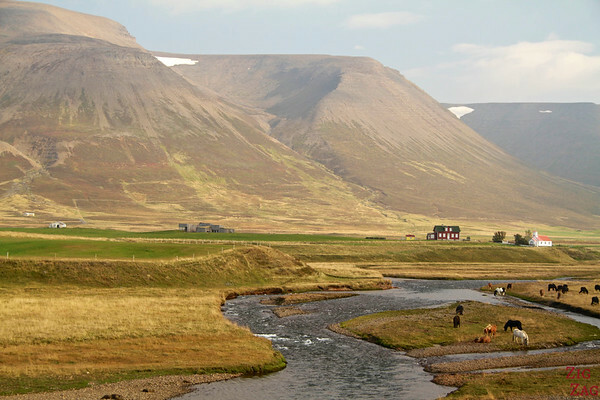 Since it is further from Reykjavik, North Iceland is less visited that the South. Yet, it has incredible landscapes and things to do. 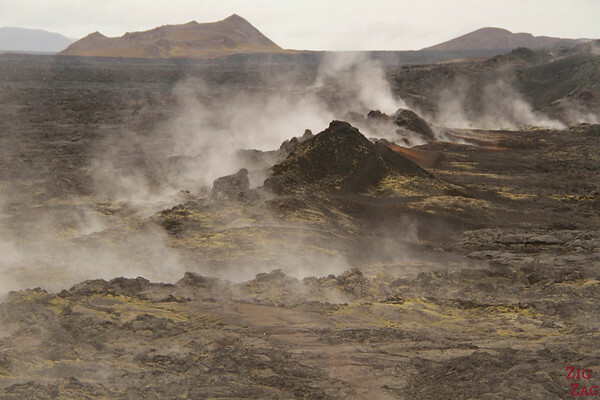 It was my favorite region with many incredible volcanic features, especially around Lake Myvatn. 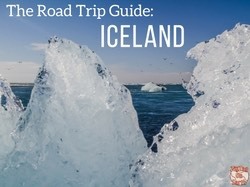 Below is my North Iceland Travel Guide to help you plan your trip and itinerary including videos, planning tips, photos and my favorite places to see. 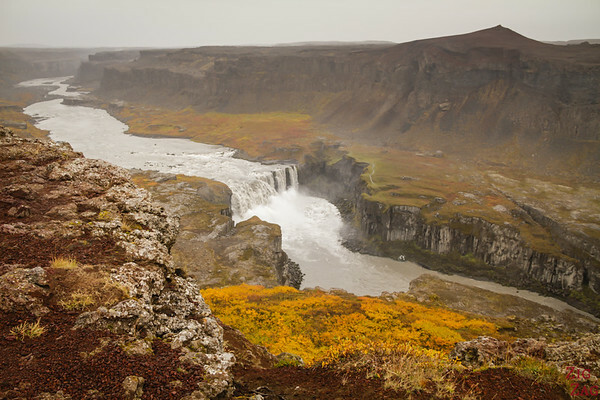 North Iceland is a world of powerful landscapes: from giant volcano craters, to geothermal areas, to impressive lava fields and rushing waterfalls. 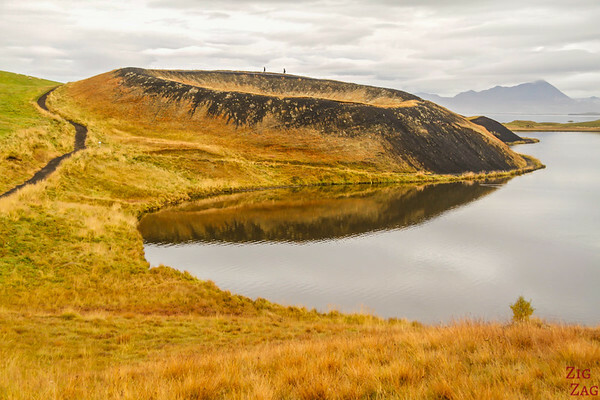 When you travel to Northern Iceland, especially around Lake Myvatn, it feels like landing on another planet or waking up in a post-apocalyptic world, especially when you end up walking alone in a lava field still fuming! Let's start with a short video showing you many of the beautiful landscapes of North Iceland including waterfalls, geothermal areas, lava pillars and volcano craters. 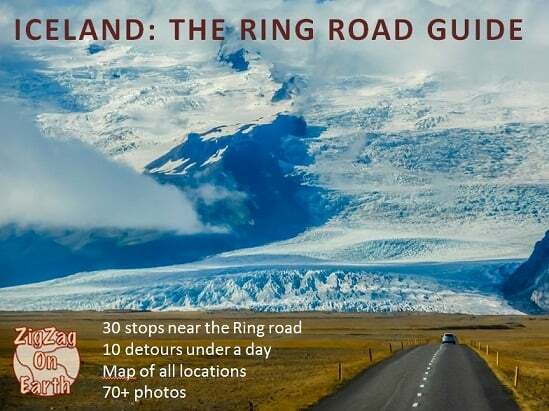 How to get to North Iceland? The Northern Region is easily accessed by car via the Ring Road (Road 1). It leads you the Akureyri (the largest town) and to Lake Mytvan. 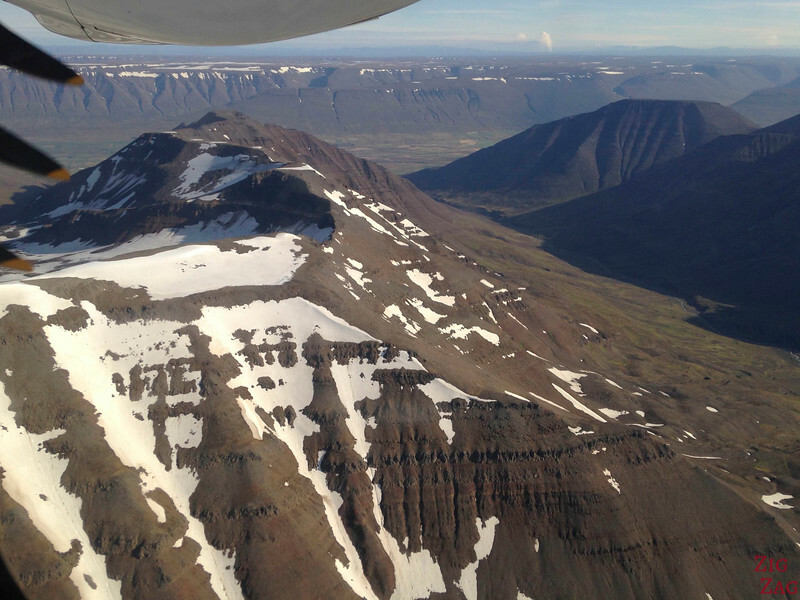 Another option is to fly from Reykjavik to Akureyri. IT is a short flight from the domestic airport. And if you are lucky like I was, the sky will be clear and you will be able to admire the landscapes from above. I even saw the fumes from an eruption in the distance. 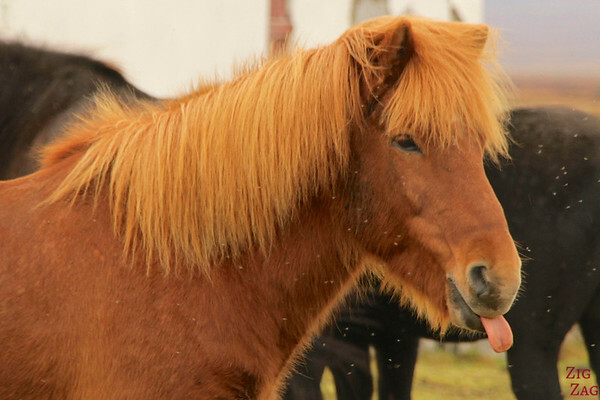 How to long to plan to visit North Iceland? For the freedom of stopping wherever you want and spend more time in the places you really enjoy, renting a car is the best solution. Driving in this region is actually really easy. Many of the top attractions are along or not far from the Ring Road. 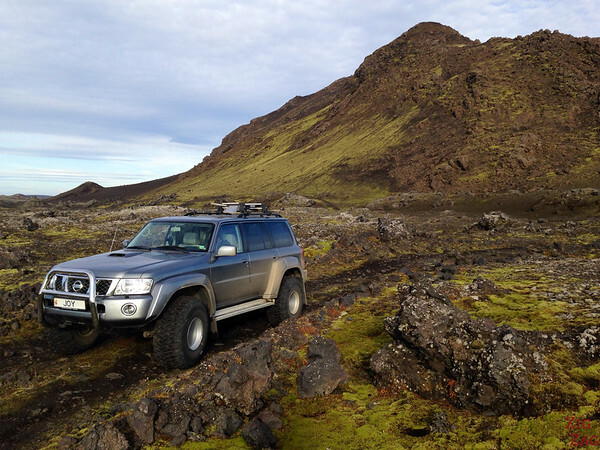 However, if you are hesitating, note that some of interesting places are only accessible by 4WD. 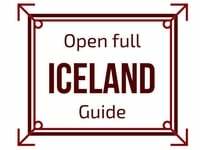 I personally rented my cars with Route 1 from Reykjavik and Europcar from Akureyri, and its went very smoothly - but you can compare options here. And below is a map to give you an idea of the location of the Northern region of Iceland and its main areas: Akureyri, the capital of the North, Lake Myvatn and Husavik. A large area with a lake and wetlands which has a rich fauna. It is a dream destination for those who love geology and bird watching. 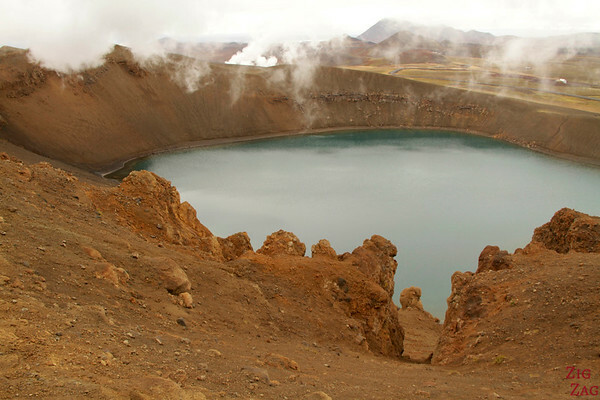 The lake was created by a large eruption over 2000 years ago. Great views from near the entrance of Dimmuborgir. 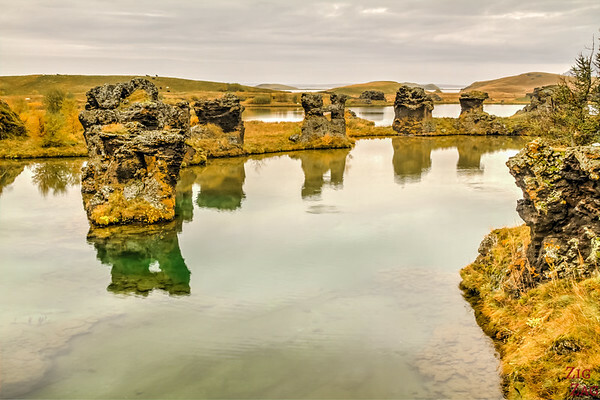 Skutustadagigar is a peninsula on lake Myvatn with a series of beautifully shaped pseudo-craters created when lava flowed over water. Hofdi is a park with many trees in the middle of the bare landscape. One of the path leads you to the Lava pillars standing in lake Myvatn. 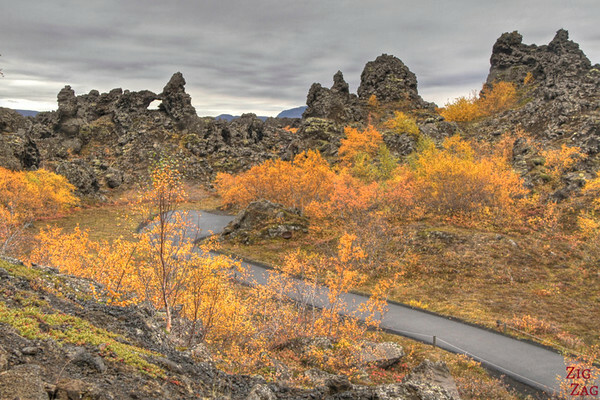 Dimmuborgir is a special area around lake Myvatn where the lava created some spectacular shapes. 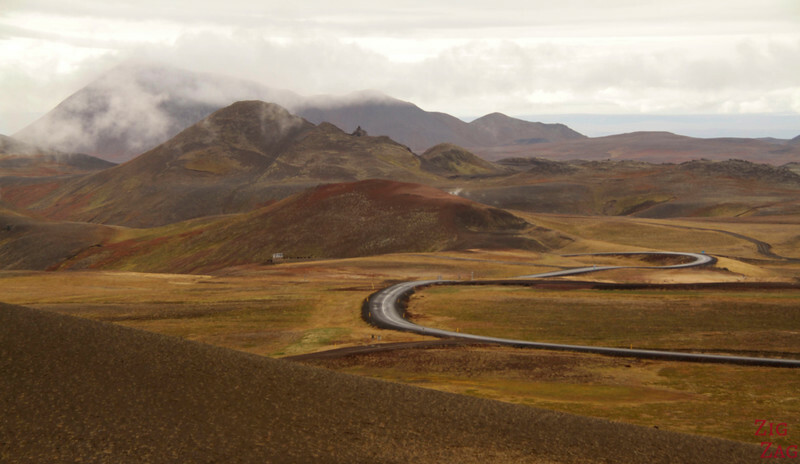 Many paths lead you through the incredible landscape. 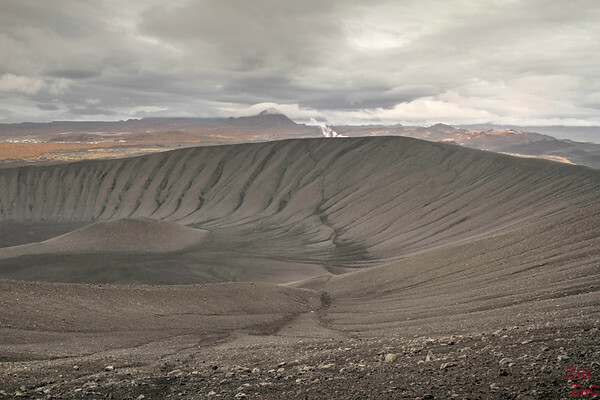 Hverfjall is one of the largest symmetrical and circular eruption crater in the world. There are trails to climb it and tour its rim. 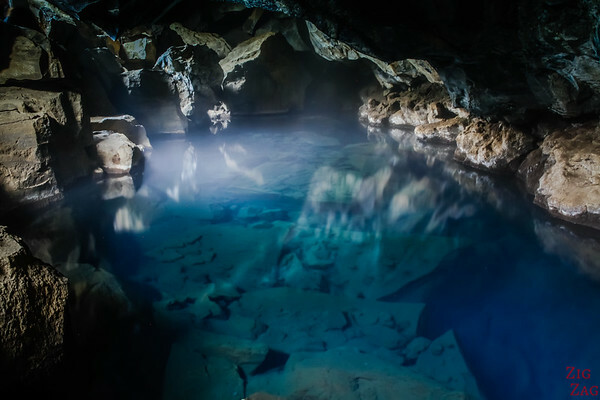 Grjotagja is a small cave created by a fissure in the crust. It is filled with geothermally heated water in a pool. 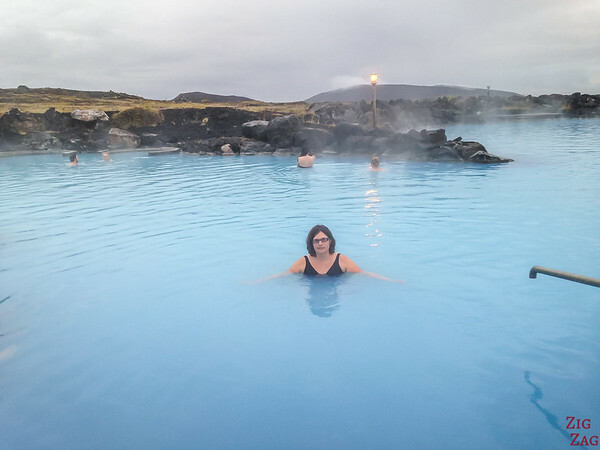 The Nature Baths are the equivalent of the Blue Lagoon but it a more intimate experience. After all the walking in the are it is nice to relax in these hot waters. 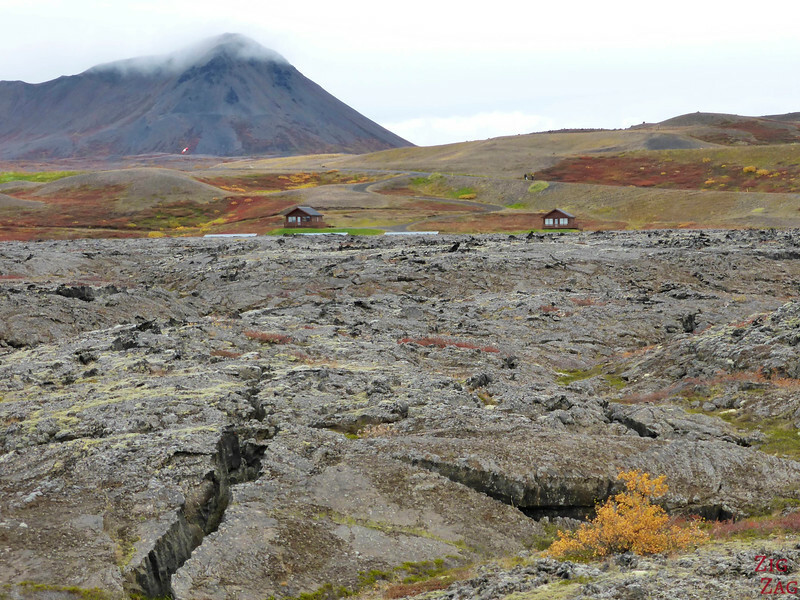 Leirhnjukur is a geothermal area where one of the trails allows you to walk through lava that is still fuming. 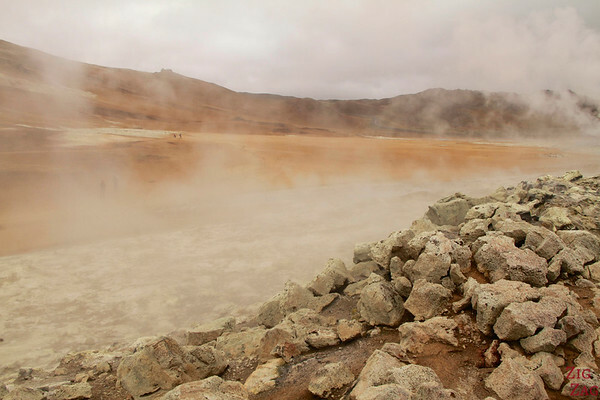 Krafla Viti is circular crater filled with deep blue water and surrounded by colorful mountains. A trail leads you alla round its rim. 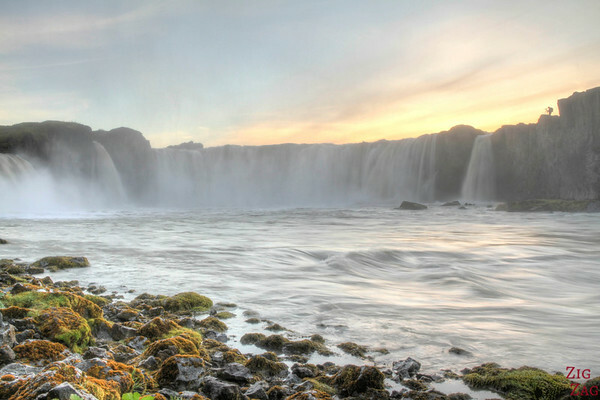 Godafoss is an elegant horse-shoe shaped waterfalls that you can easily admire from both side. It is just next to Road 1. 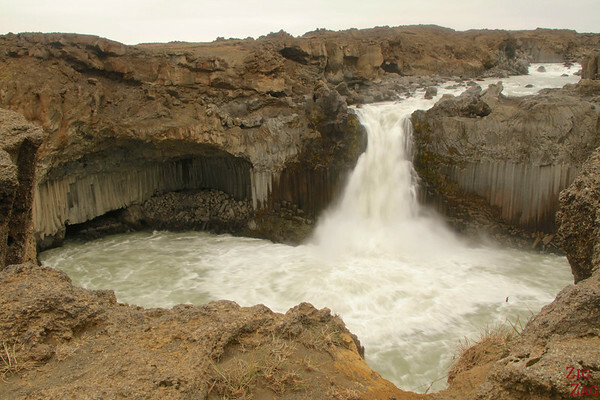 Aldeyjarfoss is an off-the beaten track waterfall with a narrow flow but a large pool and interesting lava shapes. The surrounding landscapes feels like another planet. 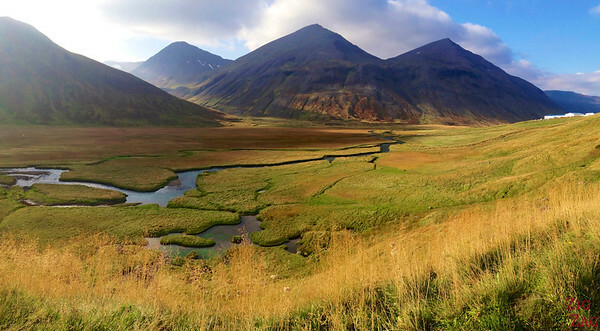 The Trollaskagi peninsula, located North of Akureyri, is full of stunning landscapes. I especially recommend driving trough the central road. 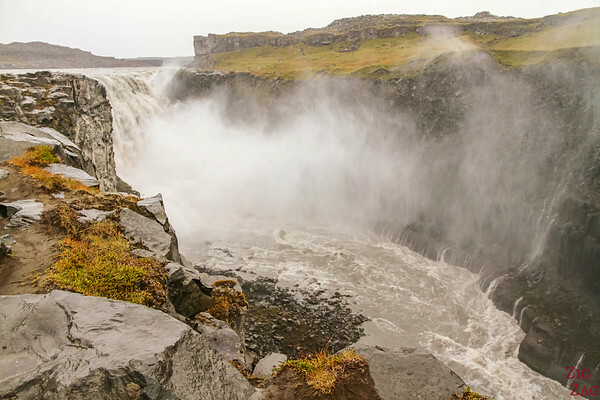 Dettifoss is the most powerful waterfall in Iceland with can be admired from both sides of the canyon. It is one of the most powerful in Europe. 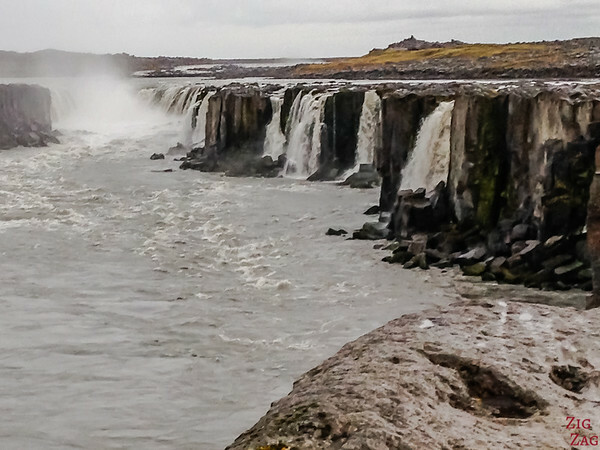 A trail leads from Dettifoss to Selfoss, a horseshoe-shaped waterfall with a multitude of others, creating a veil. Hafragilsfoss can be admired from far away it is canyon. It is a classic curtain waterfall but the surroundings make the sight fascinating. 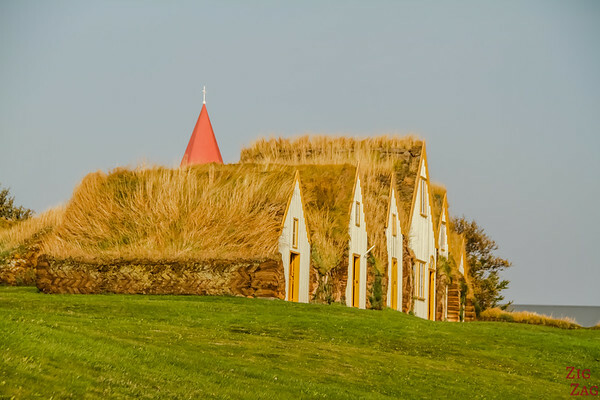 Driving west of Akureyri on Road 1 you can take a detour to admire the turf houses of the Glaumbaer farm. It is also a small museum where you can see old farm tools. North Iceland is the best places to see whales around Iceland. Tours depart all year round. Enjoy the thrill of getting off road in a super jeep. 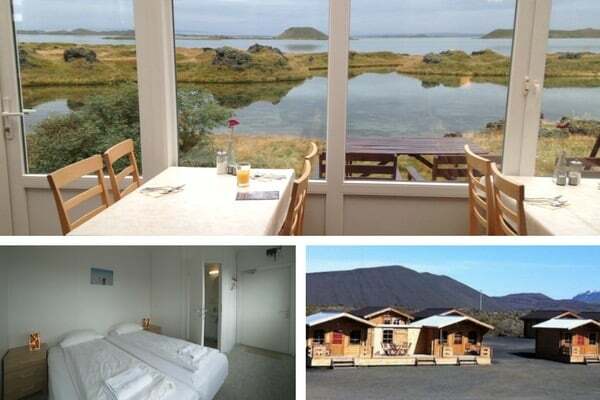 There are many accommodations along the Ring Road in North Iceland: hotels, campsites, Guesthouses... For more information, check out my Iceland Accommodations article. 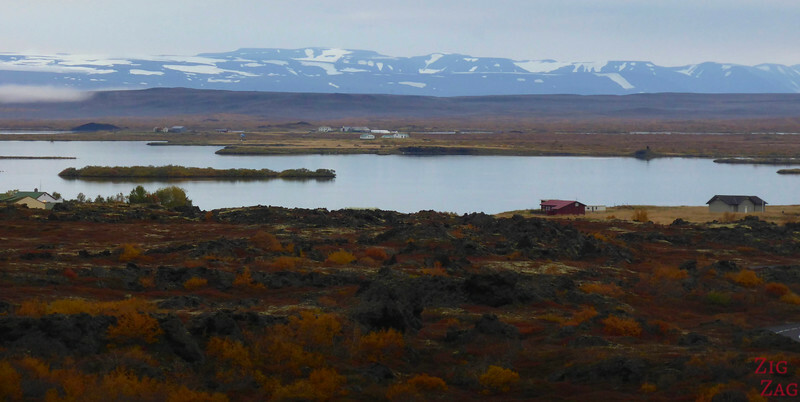 The Dimmuborgir Guesthouse by Lake Myvatn. One of my favorite accommodations in Iceland. I love how close it is to the lake and all the lava rocks around. So peaceful! The Fossholl Guesthouse, right on Route 1 near Godafoss. This way I was able to enjoy sunset at the waterfall and the stars at night with the rushing water. Lake Myvatn is one of my favorite places in Iceland but it has one major issue: the flies. Wear a head-net. Swallow your pride and forget how you look like! 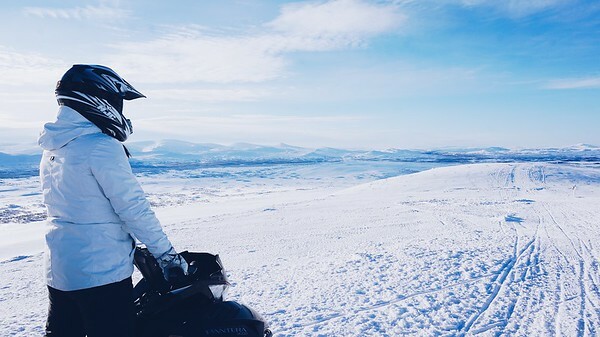 Ready to explore North Iceland? Great travel guide Claire, many thanks.